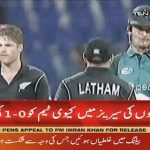 Pakistan defeated New Zealand by six wickets in the second one-day international (ODI) at the Sheikh Zayed Stadium in Abu Dhabi. 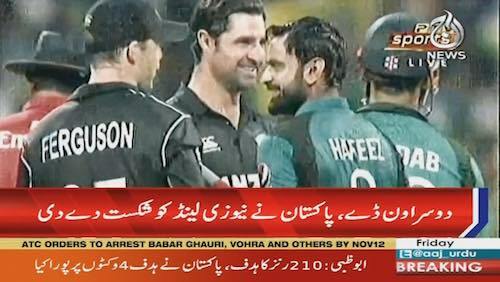 New Zealand had an edge before this match for the series but after 4 years, Pakistan has finally been able to defeated New Zealand in one-day international match. With this victory the current series is at the score of 1-1. Shaheen Shah Afridi led the charge, picking up four wickets for 38 runs as he disintegrated the Kiwis’ middle-order. 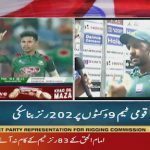 Hassan Ali picked up two wickets for 59 runs. Pakistani team in todays match was led by Sarfaraz Ahmed who will also be the team captain for World Cup 2019.